We are excited to introduce our Founder and Executive Director's first book, Running For Their Lives. In 2016, our founder, Frederick Dryden ran a 3-week marathon from Ottawa to Hamilton, ON. He ran over 700 kilometres to create awareness for youth issues in Canada, share findings from our youth SWOT analysis and raise funding for program sustainability. 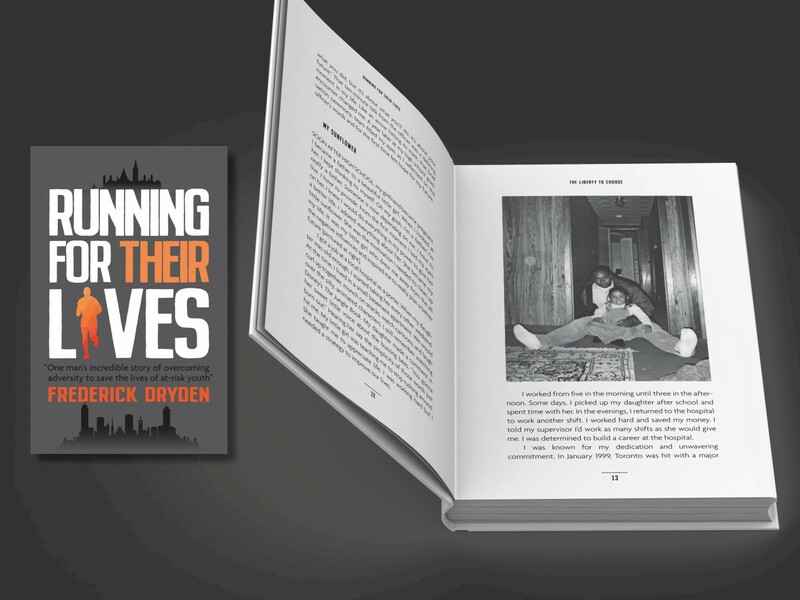 Running For Their Lives captures his at-risk teen years, how it led to the founding of Liberty For Youth and how running for youth changed everything. Running For Their Lives was released November 7th, 2018 at our annual Power of a Changed Life Fundraising Gala. You can purchase Running For Their Lives at Liberty For Youth or at a book signing or speaking engagement below.